A San Diego homeowner in the Bay Ho area next to Clairemont contacted our office. 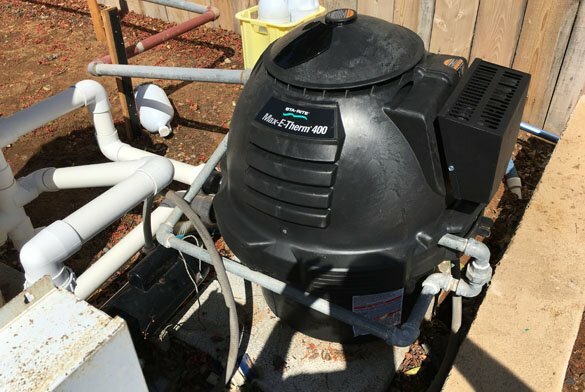 The home was being sold and the pool heater was not working. 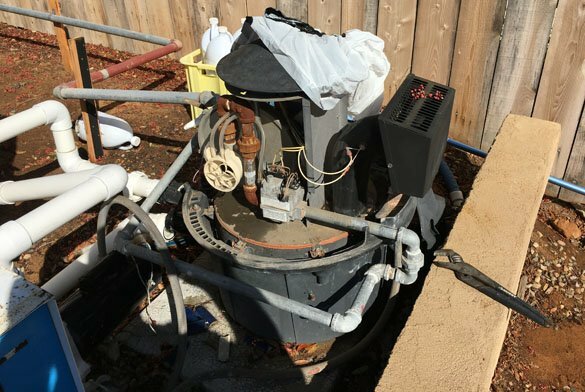 They wanted the swimming pool heater to be in good working condition. 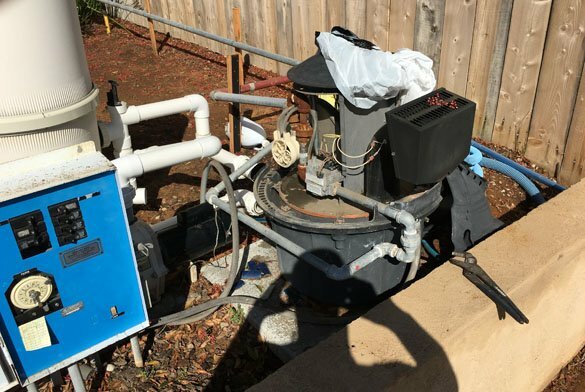 Our pool repair technician went to the home to troubleshoot the pool heater. The Sta Rite Max-E-Therm pool heater would not fire. We took apart the heater and found many problems. Firstly the 333,000 btu heater blower would instantly overheat and shut off. Secondly a number of sensors were failing. Finally the heat exchanger bundle would need to be cleaned or even replaced. After completing the heater troubleshooting we spoke with the homeowner. We found that the heater blower was not available in San Diego County. Getting the blower involved extra shipping costs and a time delay. 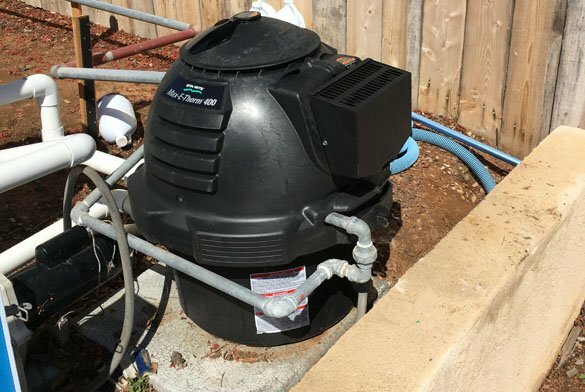 The price to repair the pool heater and the time constraint made repairs impossible. It was decided that a new pool heater needed to be installed. After removing the old pool heater a new Sta Rite Max-E-Therm pool heater was installed. The new pool heater was also a larger 400,000 btu natural gas heater. Although the heater size was increased, the heater shell was the exact same size. The gas line connections, electrical connections and plumbing were also the same. This made for a quick heater installation. Our customer was very happy to have a working pool heater in such a short period of time. The home sale was able to go through without a hitch.